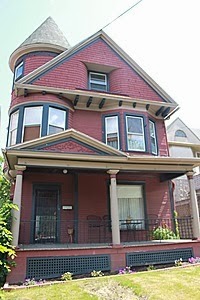 For Sale: Slightly Haunted Victorian Mansion. "Built in 1901, this Victorian home in the Hollywood section of Dunmore features 1850 sf of living space with an additional 1350 sf of partially finished space. 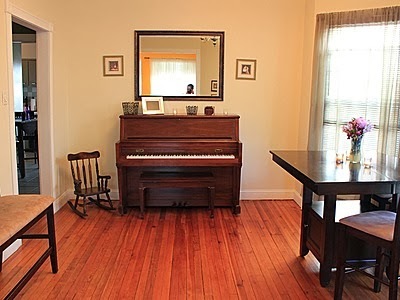 Original hardwood floors throughout entire home. 4 bedrooms, 2.5 bathrooms. Off-street parking. Freshly painted. New moulding throughout entire first floor. Slightly haunted. Nothing serious, though. e.g. The sounds of phantom footsteps. A strange knocking sound followed by a very quiet (hardly noticeable, even) scream at 3:13am, maybe once a week. Twice a week, tops. And the occasional ghastly visage lurking behind you in the bathroom mirror. Even still, this occurs very rarely and only in the second floor bathroom. 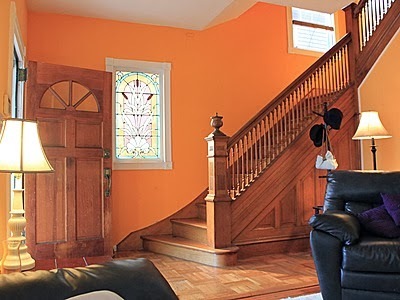 Large living room with an open staircase, stainglass window and a large picture window. A study/library with another stainglass window and a secret door behind a moving bookcase which leads into a small office. All around a beautiful home with lots of updates and tons of charm. " So if you are house hunting in Dunmore and you don't mind the random, phantom scream at 3:13am this is probably the house for you! You can get all of this for the price of $144,000.00. Absolutely priceless - especially the 'ghastly visage' in the bathroom mirror!